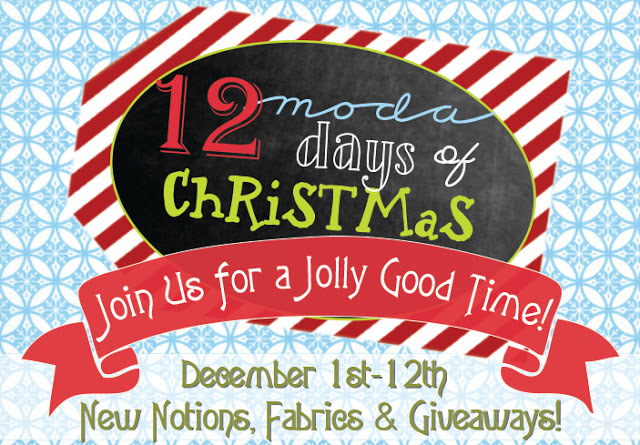 For the next 12 days Moda will be giving away fabric and notions. 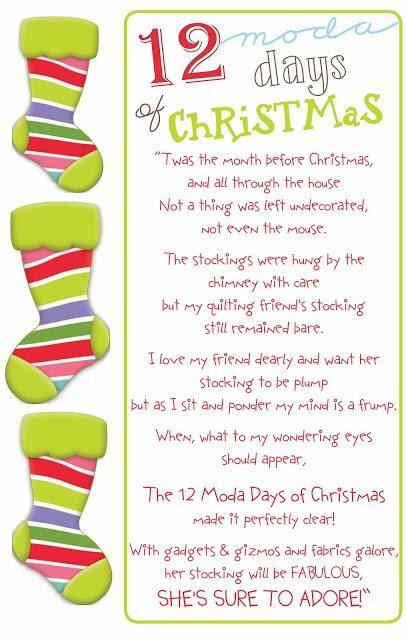 Visit the Cutting Table blog each day to be in the draw for some great gifts to fill your stocking. Thanks for sharing this. Sounds like lots of fun. Thanks. I squeeked in on Day 1. Love the Ho Ho Ho quilt. Thanks for sending us over to the bakery Jane.